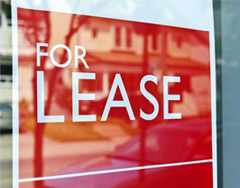 Leasing your commercial property? The Property Brokers leasing team can help you find a suitable tenant for your commercial building. Owners need to be able to ensure the right mix of tenants are leasing their properties, we understand that a quality long term lessee can turn a good investment into a great one and acheive your investment goals. The balance between the tenant and the location needs to be right to create long term relationships that add value to both parties. If you are looking to have your commercial building managed to take all the hassle out of finding new tenants now and in the future, click here. If you are looking to relocate or require commercial premises, come in and see the Property Brokers Commercial team today! Along with a huge variety of commercial properties for lease we may also be able to help by finding you the perfect space from further afield. Let us know your requirements, budget and time frames and put us to work finding you the perfect premises. Download a copy of the The Leasing Process booklet.